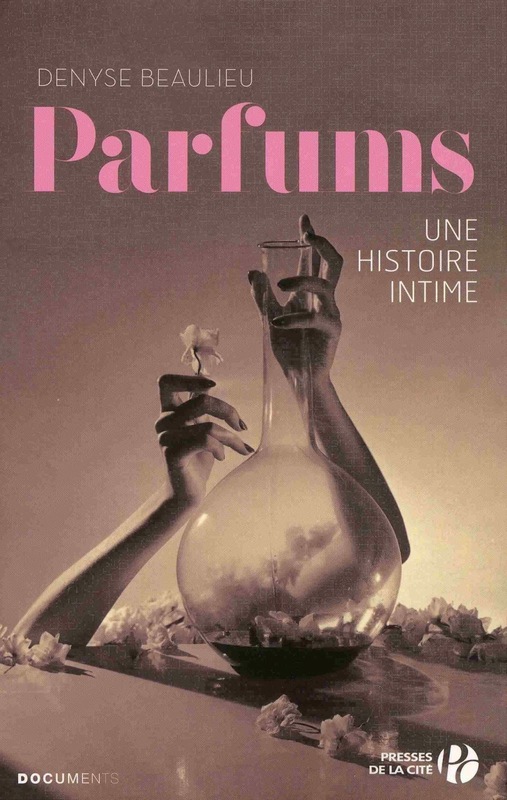 The French version of The Perfume Lover just came out under the title Parfums, une histoire intime.I did my own translation. Or rather, I reclaimed the text in my mother tongue, which allowed me to tweak it a bit. But translation was part of the project from the outset. The book was first written in English because an English agent was the first to seek me out. But the mindset of the writing was French: a certain cultural relationship to sensuality and thought – never philosophy without the boudoir, or the boudoir without philosophy. Conversely, the narrative non-fiction genre was purely Anglo-Saxon – a gonzo style I picked up back when I was a rock critic in the punk era – and that’s what I’m smuggling into French. And of course, one could say the book is all about translation: putting perfume into words, turning the creative process of Séville à l’aube into a story, turning my story of Seville into scent. This launch is a bit of a milestone for me, first because it’s happening on my own turf, then because the French version will be easier to read for most of the people featured in the book. Somehow, I feel freed from a process that started way back in 2009 when I was first approached by an agent. So at midnight on June 16th, I wrote a few notes for what I hope will be the next book… And I’m looking forward to writing more regularly for the blog. Wishing you lots more success. Your baby has had a long birth, and you must be feeling tired but elated! Looking forward to reading more from you. Jillie, you're absolutely right: four launches staggered over a year, plus the launch of the perfume... But hey: I'm certainly not complaining! Congrats, dear one. I hope you can take a little time to revel. Thanks Amy! I will revel next week, since I have a book signing in a perfume shop, and this time lots of people I know will be able to come -- friends, but also some of the perfumers in the book, my students, fellow French bloggers... Should be fun! "Wrote a few notes at midnight"
Jordan, hold your horses, I'm not even sure what this might become at this stage! Bonjour from Montreal! I've gotten totally enamoured with discovering perfumes in the last six months and was sniffing Duchafour's Enchanted Forest and was on the hunt for smelling Seville a L'Aube when I also ordered an electronic copy of your book. I had no idea of the connection between you and Duchafour and you and Montreal. What a happy coincidence! Now if only Ogilvy's would call to confirm that they've received their shipment of Seville a L'Aube .....Thanks for bringing the world of scent to life with such clarity and rich imagery. Felicitations!!! Bonjour, fellow Montrealer! I did actually do an reading at the Westmount public library when I came through in April, but sadly, the new stocks of Séville à l'aube hadn't arrived in North America, so it was kind of pointless to do an event at Ogilvy's... I'm aghast to find out the shipment isn't in yet! But touched by your kind words about my book, thank you. Hello Again from Montreal! I finished your book an hour ago and just had to comment again. It was absolutely brilliant; and so poetic and vivid! 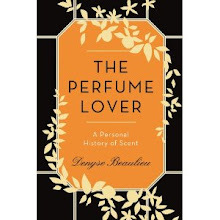 I had not fully realized WHY I found perfumery so fascinating until I consciously recognized through your book the patterns, the CONNECTIONS, of so many beautiful and intriguing things: nature, alchemy, raw materials, travel, chemistry, poetry, symbolism, reality, Islamic culture, memories, art, people, history, images/photography, literature, emotions, production processes, food, economics ...... I also can now appreciate far better the effort and skill that goes into making a master-piece. Thank you for the enlightenment and thank you also to Bertrand for his enthusiasm and openness to share! Finally, I must say I am also quite envious of your experience of such a fruitful and creative, collaborative exercise; I find nothing beats the high of great teamwork that culminates in the fruition of a vision. I can't wait for your next book or initiative. Perhaps you would consider writing more on the history of perfume? A la prochaine. Hello again Montreal! 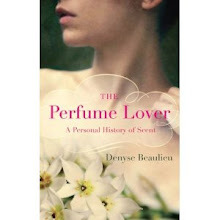 You've pinpointed the very reason why I find writing about perfume so interesting: the connections. You can do that with any subject, really, it's just that perfume, maybe because it's invisible and so hard to connect with words, is that much more of a writing generator.